I have finished an EBoard port for the N810/N800/N770. N800 Old OS: Download the eboard_1.0.3-10 package here and the N770 version here. 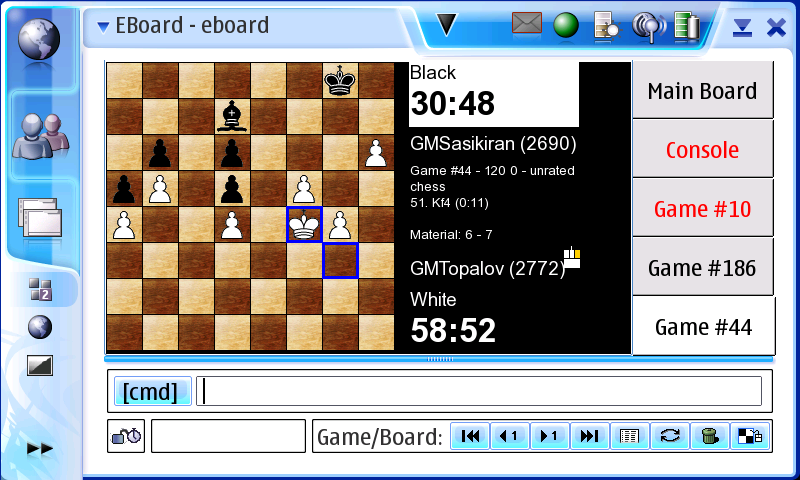 This is a first very quick port of the XBoard program for the Nokia N800. Don't expect major development because I am concentrating on EBoard now. 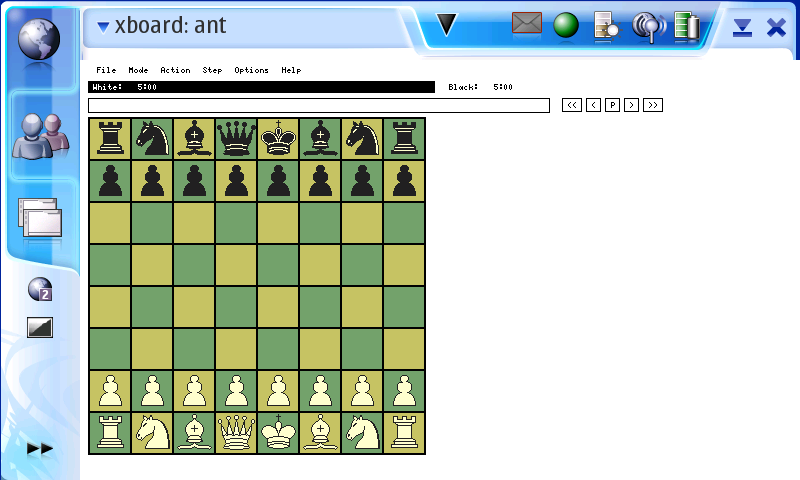 You can download the xboard package here and an example chess engine (ant) here. This Maemo port is based on version 4.2.7. Also a desktop-entry would be nice so that it can be started with a menu-entry. You'll need the libXaw7 library to run it. This can be installed from the Maemo repositories.